Welcome to the board Collo! The guy you are reffering to is called James Walbourne, so you were almost right! I was at the York show last night too - wasn't Ray wonderful? Are you seeing any more of his upcoming shows? 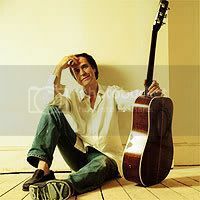 There's a thread about the tour (photos, setlists, etc) in the Ray Davies section of this board if you fancy taking a look. Welcome to our little village green! I'm sure Ray will tour again next year Collo, perhaps you'll catch him again? Was this the first time you saw him live? - If so then I'm sure you weren't disappointed and will want to see him again! I never saw the Kinks ...but I am only 26. I think their last performance was in '96 - I would've been just 9 or 10. Yes, it really was a great show! Lovely to hear Ray move away from the big hits and 60s stuff a bit too, with Full Moon, Muswell Hillbilly and Oklahoma USA. Yep, nothing wrong with the Beatles or Stones, but no one tops the Kinks for me! Shame you hadn't joined here before the York show - I'd have looked out for you and said hello! There was a little gathering of Kinks/Ray fans who went to the pub before last nights show, very fun! I like chatting with other fans at the shows, swapping stories etc - that's part of the fun for me. Good to have you here, collo! I'm glad you enjoyed Ray's show -- but then, who wouldn't? We here in the States are very jealous of you all getting these great shows, but hopefully we'll get him back here touring soon. As a longtime Kinks fan, you'll find yourself in good company here!